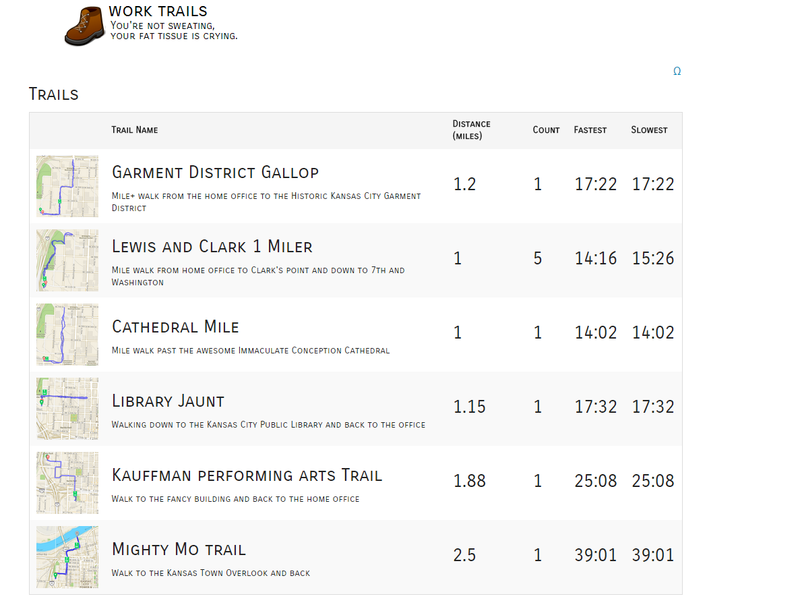 Long long time ago I created a static website called work trails. Basically I wanted to document the various trails I created while walking on my lunch break at work. Recently I decided to pick that project back up and make that a little more usable. I created a database and a web site front end and started charting out some courses around work. I am using the RunKeeper app to track each run. GPS is a little spotty around my place of employment but it works pretty well. I have tried GPS on Verizon and plan to try it on Sprint to compare who is better. My money is on Verizon but we'll see. 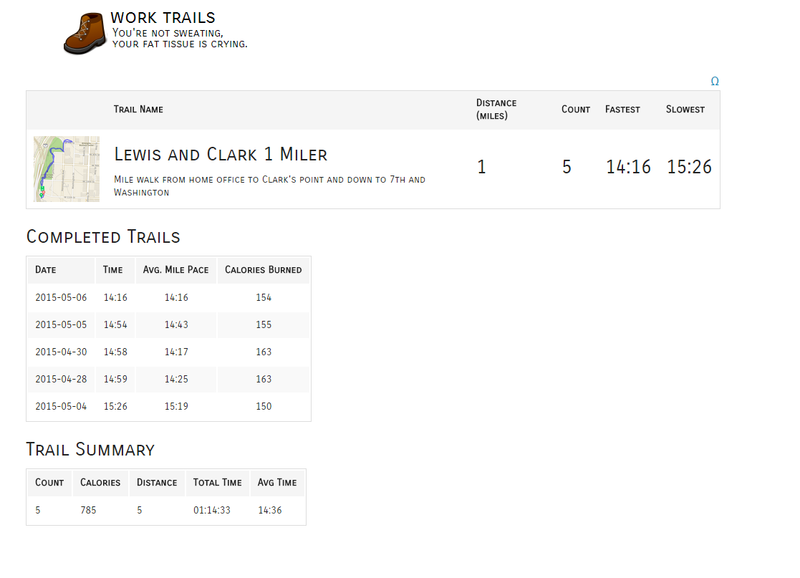 One cool thing about RunKeeper is that they have a website where you can see all your routes and such. I used their website to build my maps and to track distance, time, calories burned etc. I created a really simple database to store my info. One table is for the details about the trails, the other table is for recording each time I complete the trail. I created a few stored procedures to handle adding and displaying the data. I then wrote a web site to display the data. Here is the main page that shows the details of all the trails. Here is overall summary starts of all the trails I have completed so far. 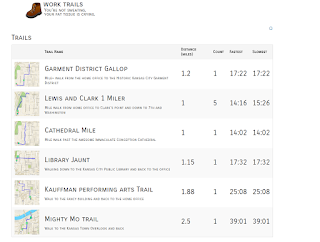 Here is the trail detail page where you can see information about each trail. When the last run was completed, summary for the trail, etc. 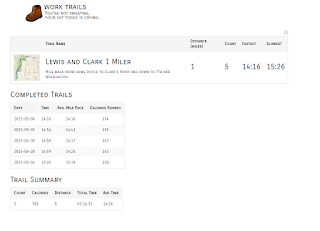 I am in the process of mapping out about 5 or 10 more trails then I will start repeating trails and keeping track of the stats. I am also looking to add a photo gallery for each walk to show the various sites on each trail.